GUNS N’ ROSES REUNION STARTS IN LAS VEGAS; Guns N’ Roses will reunite on stage for the first time in 23 years over the opening weekend, April 8 and 9, of the new T-Mobile Arena before they headline the Coachella music festival the following two weekends. Tickets start at $79.50. premiered her headlining residency show “Jennifer Lopez: All I Have” at The AXIS at Planet Hollywood last week and attracted celebs galore. Among the global superstar’s first night audience were: Justin Bieber, Ryan Seacrest, Rebel Wilson, T.I., Rosie Huntington-Whiteley, Kelly Osbourne, Leah Remini, Gina Rodriguez, Hoda Kotb, Camilla Belle, Wilmer Valderrama, Ryan Guzman, Cheryl Burke, Derek Hough, Nicole Scherzinger, Keenen Ivory Wayans, Kiesza, Pras, and her entire “Shades of Blue” cast including Ray Liotta, Sarah Jeffery, Warren Kole, Santino Fontana, Gino Pesi and Dayo Okeniyi. The show included guest performances by Ja Rule (“I’m Real”), Ne-Yo (“All I Have”) and Pitbull closing (“On The Floor”). Tickets for her 9 p.m. performances range from $59 to $229. royal court. They were visited on set by faux Steve Tyler from “Legends in Concert,” Teller with a bit of magic and Cirque du Soleil performers. Human Nature also appeared and promoted their new show “Jukebox” being launched March 29 in the Sands Showroom at The Venetian. Mandalay Bay’s Convention Center expansion is complete now with this month’s opening of the 70,000-square-foot Oceanside Ballroom. The $70 million expansion includes 350,000 square feet of new exhibit space, a 20,000-square-foot foyer and underground parking that opened last August. In total, the convention center has 2 million total square feet and more than 900,000 square feet of contiguous exhibit space. In addition, the expansion is incorporating an additional rooftop solar photovoltaic (PV) array spanning eight acres. The final phase of Mandalay Bay’s resort-wide, multi-year transformation is the $100 million redesign of more than 3,000 guest rooms and suites that will wrap up in February. “Mexican street eats and fiesta—where flavor and fun is a way of life” defines Las Vegas’ newest Mexican drinks and dining experience, Loco Cantina opening at Town Square on the second floor on Monday, Feb. 8. Loco Cantina will open at 11 a.m., serve lunch and dinner daily, have a happy hour, and offer live entertainment nightly. 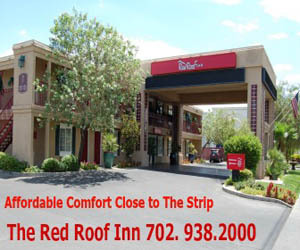 Nevada location on Feb. 18 in Henderson at 1381 W. Sunset Road with two more expected this year. On opening day from 11 a.m. until 10 p.m., guests will be encouraged to pay what they’d like for their pizza with all proceeds benefiting nonprofit group After-School All-Stars. MEGASTARS BRYAN, KEITH AND PAISLEY SET FOR ROUTE 91 HARVEST: The third annual Route 91 Harvest will return to Las Vegas with country heavyweights Luke Bryan, Toby Keith, Brad Paisley, Little Big Town, and Chris Young at the Las Vegas Village across from the Luxor Sept. 30–Oct. 2. Passes for the three-day, two-stage country music festival go on sale Friday, Jan. 29 at 10 a.m. The diverse lineup will also include Billy Currington, Lindsay Ell, Tyler Farr, Granger Smith featuring Earl Dibbles, Jr., Jana Kramer, Dustin Lynch, David Nail, Travis Tritt and more. 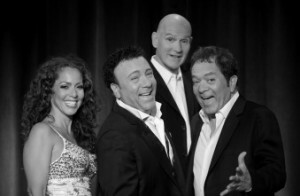 will be opening their music and comedy show in the main showroom at the Plaza for a limited engagement beginning Friday, Feb. 19. They will perform at 7:30 p.m. Feb. 19, 20, 26 and 27; March 11, 12, 25 and 26; Apr. 8, 9, 15 and 16; and May 6, 7, 13 and 14. Tickets start at $29 for general admission and $49 for VIP tickets. THE MOB MUSEUM IS INTRODUCING ‘MOE-BOT’ TELEPRESENCE SYSTEM: Your next tour of The Mob Museum could be via a robotic device you control from your own home. Beginning Monday, April 1, “Moe-Bot,” BeamPro telepresence robot created by Suitable Technologies, will enable guests to “visit” the museum via their computer screen or mobile device and direct their exhibit experience almost as personally as if they were physically there. A museum guide accompanies the Moe-Bot visitor to answer any questions, point out must-see displays and ensure each tour experience is interactive and personalized. In the case of school groups using Moe-Bot, the teacher can control the device while its video feed is projected for his or her class to watch. For information, call 702-229-2734. BIG GAME 10K RUNNING FESTIVAL OFFERS THREE SPECIAL RACES: An international field representing five countries and 14 states are among the early entries for the second Big Game 10K road race festival to be held downtown on Sunday, Feb. 7. The event includes a 10K, 5K, Combo Challenge, Kids Fun Run, and costume contest, along with the three-day Big Game Health and Fitness Expo. Football-themed events include a pre-race Carbo Load, post-race Touchdown Tailgate, and a viewing party for the big game itself. The event is being held once again as a benefit for the Las Vegas-based Goodie Two Shoes Foundation. For information, visit www.biggame10k.com. Rising country star and Las Vegas native Sierra Black will showcase her talents with two free shows at Santa Fe Station in the Chrome Showroom on Jan. 29 and 30 at 9 p.m. Black recently released her new single “Casino.” Entry is first-come, first-served. In between recording sessions in Nashville, Black has performed alongside and opened for many country music acts, including Joe Nichols, Little Big Town, The Swon Brothers and Keith Urban, whom she sang a duet with at the Route 91 Harvest Festival in Las Vegas. ETHEL M® CELEBRATES WITH VALENTINE’S DAY LIGHT DISPLAY: Ethel M® Chocolates in Henderson will celebrate Valentine’s Day by illuminating its three-acre botanical garden with more than 200,000 pink, red, white and purple lights from Feb. 1-14. Ethel M’s Valentine’s Day candy collections include heart-shaped 14-, 28- and 46-piece chocolate boxes, chocolate covered strawberries, a Bearington teddy bear, baskets and bundle options. THE WESTGATE’S RACE AND SPORTS SUPERBOOK® IS NOW MOBILE: As part of its recent renovation at the Race and Sports SuperBook® at Westgate is the arrival of an innovative new mobile app. The SuperBook® Mobile App is available for download on smartphone devices and tablets, including Android, iPhone and iPad. To enroll, guests must complete an application form at the Race & Sports SuperBook. All SuperBook® Mobile app users must be 21 years or older and be a member of the Westgate Las Vegas Players Club. By law, wagers are only accepted within the State of Nevada. SLS PLANS WHOLE BIG GAME WEEKEND OF ACTIVITIES: SLS for the Big Game weekend Feb. 5-7 has arranged culinary offerings, nightlife festivities and game day viewing parties. The weekend will be kicked off by James Beard award-winning chef José Andrés hosting the property’s first-ever Dine-N-Dash event on Friday, Feb. 5 at 5:30 p.m. The culinary tour will feature signature dishes and hand-crafted beverages from all seven restaurants on property, a “cocktail theater” by renowned mixologist Rob Floyd and a live cooking demonstration by Andrés with special guest chef Curtis Stone. Tickets start at $99. Also on Feb. 5, Platinum-selling electronic rock band AWOLNATION will debut and christen The Foundry, the new live 1,800 capacity entertainment venue at SLS that replaced LiFE Nightclub. Tickets for the opening party at 8 p.m. start at $35. On Saturday, Feb. 6 at 10:30 p.m. legendary rappers Lil Wayne, Method Man and Redman will take over The Foundry. Tickets start at $30. On Sunday, Feb. 7 there will be Big Game viewing parties at Umami Burger, Beer Garden & SportsBook and also at The Sayers Club. SPEEDWAY CREATES CHAIRMAN’S EXPERIENCE FOR RACE FANS: Las Vegas Motor Speedway (LVMS) will debut the Chairman’s Experience at the Blackjack Club during the Kobalt 400 in March. The Chairman’s Experience will be limited to the first 60 race fans and will take place in the Blackjack Club on the third floor of the infield media center. This location provides a 360-degree view of the speedway from both an indoor, climate-controlled area as well as an outdoor patio. The experience will also allow unprecedented access to behind-the-scenes activities along with the best in food, drinks and comfort. For information and to sign up, call the speedway sales and marketing office at 702-832-8254. PALMS WILL HOST 2016 JAY CUTLER DESERT CLASSIC: Martini Spray Tan and Liquid Sun Rayz will present the Las Vegas City Athletic Club’s 2016 Jay Cutler Desert Classic inside The Pearl at the Palms on Saturday, March 26. The NPC national qualifier competition with contestants from around the country consists of Men and Women’s Body Building, Men and Women’s Physique, Women’s Figure and Bikini, and Women’s Fitness along with multiple vendors. Four-time Mr. Olympia Jay Cutler will be in attendance. Tickets for the prejudging event at 10:30 a.m. are $35.50. Tickets for the finals at 6:30 p.m. are $48, $52 for VIP, and $100 for Meet and Greet VIP. An official after party will take place that evening at Ghostbar hosted by Cutler. NATURAL HISTORY MUSEUM HAS UPDATED AFRICAN SAVANNA EXHIBIT: The Las Vegas Natural History Museum will unveil its newly updated African Savanna Exhibit featuring donated pieces from the Gary and Matthew Primm Family Wildlife Collection on Thursday, Jan. 28. The updated South African inspired exhibit highlights indigenous species to the continent’s lower region such as a lion, Cape buffalo, crocodile, leopard, rhinoceros and lechwe. Nevada casino developer and wildlife enthusiast, Gary E. Primm, donated the prestigious museum-quality animal collection last November with an estimated value of $650,000. The rare, one-of-a-kind collection features more than 90 exotic and domestic species collected and curated over 20 years. BROOKMAN SCHOOL SETS GUINNESS WORLD RECORD: Brookman Elementary School’s Guinness World Records attempt was a success with 20,703 glow sticks illuminating the school grounds on Jan. 15 with a line measuring 3.92 miles pending final approval. The glow sticks represented each book the students read and were tested on, with an 80 percent comprehension or better from September 2015 to January 2016. The current world record holder is a primary school in Australia with 9,800 glow sticks.Comedy Magician Adam London, who stars in his own “Laughternoon” show at the D, co-hosted with his wife Alana London, who is a fourth-grade teacher at Brookman Elementary School. SCATTERED ITEMS: For National Chocolate Lovers’ Month, HEXX kitchen │ bar │ chocolate at Paris is offering complimentary dessert tastings in its kitchen every Saturday from 1 to 5 p.m. throughout February. Selections will include an array of petit fours. 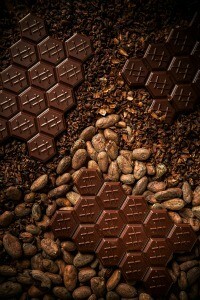 Also free behind-the-scenes chocolate kitchen tours will be held daily in February. Reservations can be made using Eventbrite. Andre’s Restaurant & Lounge at Monte Carlo is now offering its $50 five-course tasting experience served on a single plate not only to patrons dining in the bar, but also in the restaurant’s main dining room. The $50 tasting plate includes an unscripted selection of three hot or cold appetizers, one chef-selected entrée and one dessert item. Two-time Golden Globe nominee and now “The Danish Girl” Oscar nominee Alicia Vikander was in town filming the new “Bourne” movie with fellow actor Matt Damon and attended Cirque du Soleil’s show “O” at Bellagio. The Stratosphere’s 107 Lounge has had a name change to 107 SkyLounge. It was named “Best Lounge” and “Best Martini” by the “Las Vegas Review-Journal.” The adult revue, “Sexxy” at the Westgate will celebrate its first anniversary on Tuesday, Jan. 26. Aria is being featured on the Monday, Jan. 25 episode of ABC’s reality series “The Bachelor,” currently in its 20th season. The resort is the backdrop for newest bachelor, Ben Higgins, and his remaining bachelorettes, with the cast staying in the luxurious ARIA Sky Suites. Additionally, The Mirage headliner Terry Fator is making an appearance during the episode’s group date. The M Resort will host a three-day job fair Jan. 26-28 in the Ravello Lounge to recruit candidates for 90 seasonal pool positions for both of its pools: the M Resort Pool and DayDream Pool Club.